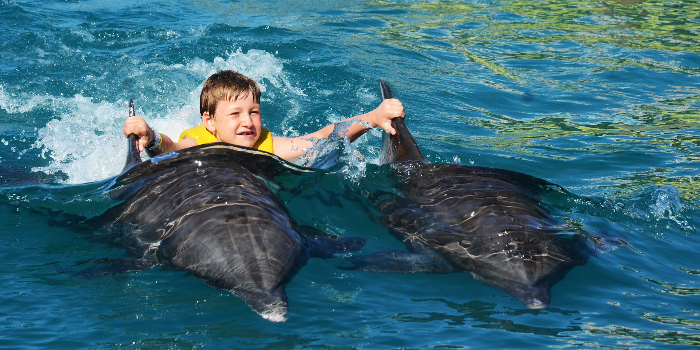 A Dolphin Encounter is an unforgettable experience for all ages. 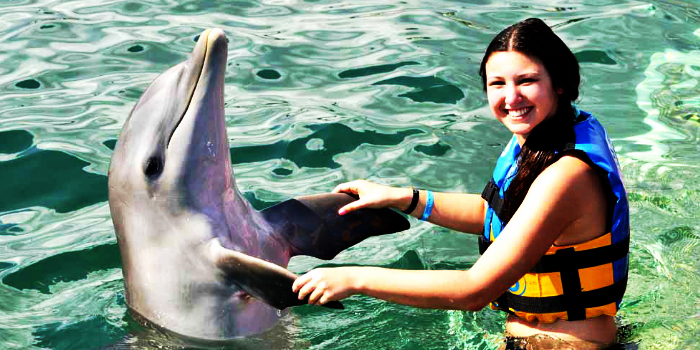 The Dolphin Adventure Center in Nuevo Vallarta offers this amazing experience every day of the week. During your visit, you’ll be introduced to the Pacific bottle-nosed dolphin, one of nature’s most beautiful and intelligent creatures. Experienced trainers will provide a detailed introduction to the species, with a special focus on their unique physiology, communication style, and intelligence. Learn more about the bond humans and animals as you get into the water with these majestic creatures. This program was specially designed for non-swimmers and those who are not strong in the water. The pool isn’t deep and lifejackets are available upon request. You’ll be able to enjoy interacting with the amazing dolphins in a safe environment without having to be concerned about swimming. Get close to curious dolphins as they swim right up to you in the seawater lagoon. You can also interact with them – feed them treats, get kisses, and communicate with hand signals. The small group size and expert trainers ensure a wonderful experience with these friendly, happy characters. The dolphins and trainers have a strong bond and share a mutual respect. The dolphins are well cared for and all of the programs keep their wellbeing in mind. This makes the dolphins warm and friendly, perfect for interacting with people of all ages. 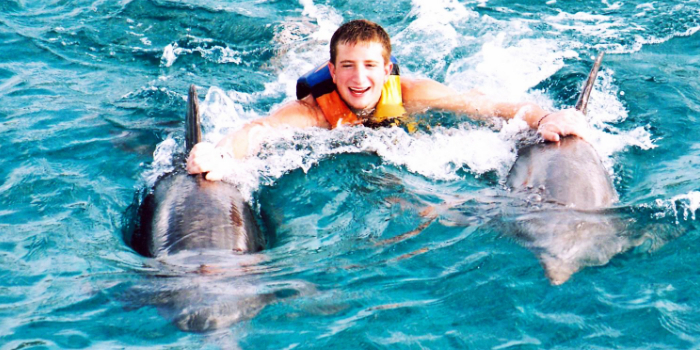 The safety of the dolphins and the guests is of utmost importance. 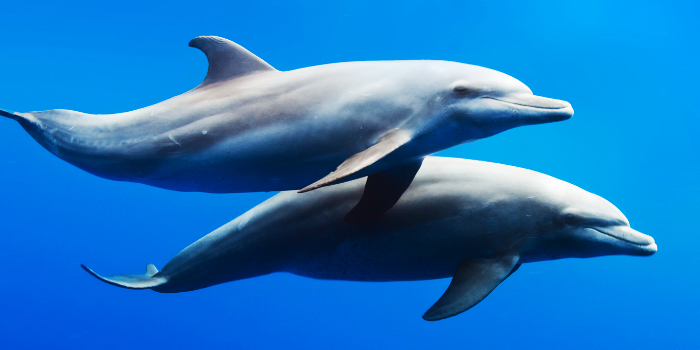 There are some things you’ll want to keep in mind while planning your Dolphin Encounter. Please remember that sunscreen and jewelry are not allowed in the lagoon as they pose a danger to our dolphins. Although the experience is geared toward non-swimmers, children under the age of 11 must be accompanied by a paid adult for safety reasons. Children under four and infants are free with paid adult purchase, so you can bring the entire family. Expectant mothers are restricted from participating in the aquatic activities. Lifejackets and towels are available for use at the location. Book today for the chance to meet these adorable marine mammals. Encounters take place in Nuevo Vallarta only, guests in Puerto Vallarta will need to travel to this location. Infants between 1-4 years old are FREE when accompanied by a paying adult (16 or older). Each Child 5-11 years old must be accompanied by a paying adult (16 or older. 1 adult per child). Child prices applies to children ages 5 to 11. Lifejackets are available upon request.